Good day Quick Quotes readers! Alicia here today with projects from this month's Quick Quotes December Club Q. There are so many cool projects included, I am like a kid in a candy store when it arrives! 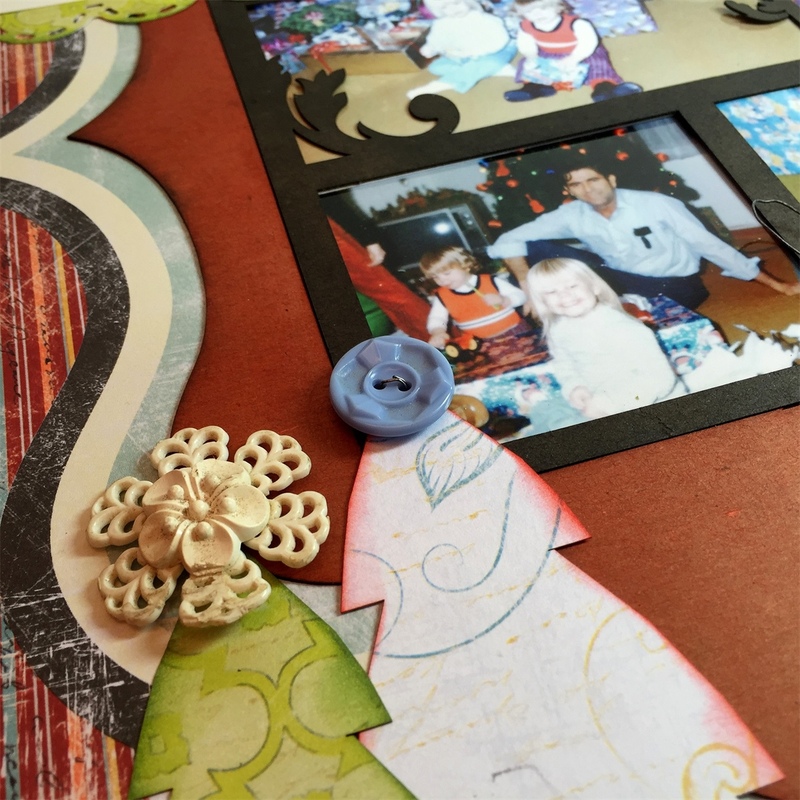 As soon as I saw the wonderful die cut Christmas trees, I knew which pictures I wanted to scrap. 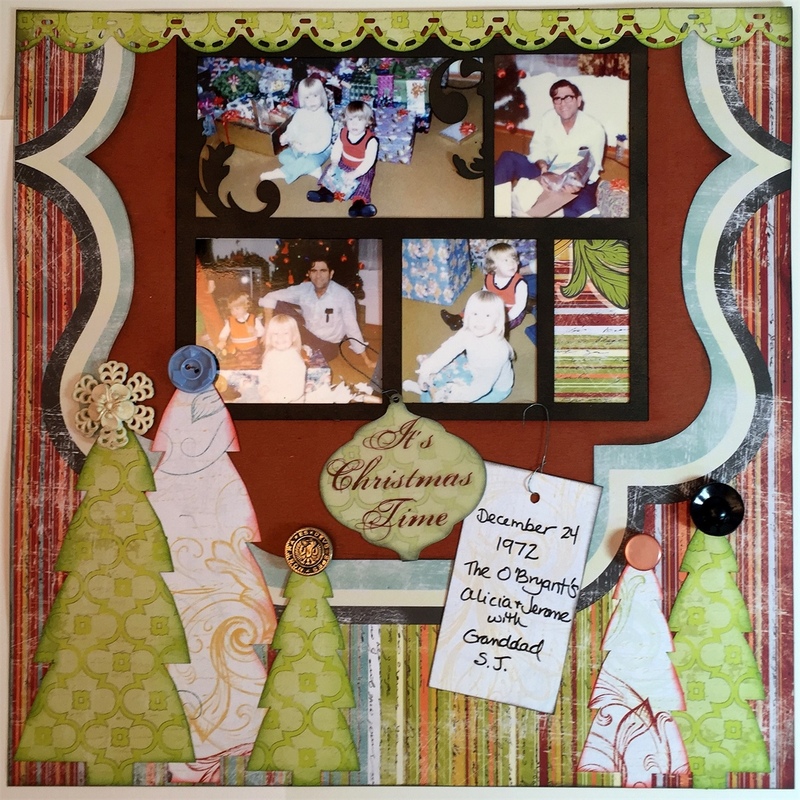 I used Christmas pictures from 1972, I feel blessed to have such a wonderful childhood. 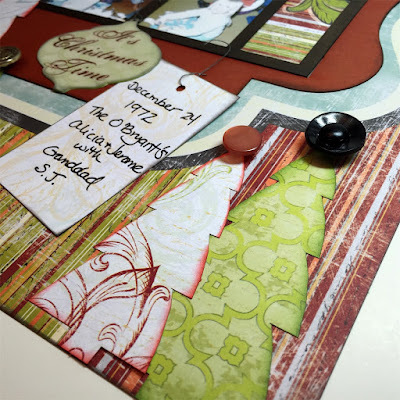 The first step to create this layout was to color the chipboard with chalk. I used Red Hot PowderPuff Chalking Ink for the outside piece and Midnight Confessions PowderPuff Chalking Ink for the inner frame. The chipboard die fit perfectly inside the design on the paper. I also added a vintage touch by creating some "ornament hooks" from beading wire. I cut both the vellum quote and the back ground paper with an ornament die. The tag is one of many die cuts included in the Club Q kit. I just love the vintage buttons. I believe they came from my grandmother's stash. I also made this mini album included in this month's kit! 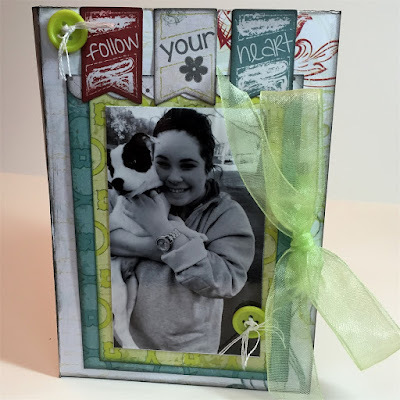 I loved the way it folded and pretty much followed the instructions up until the embellishments. I pulled out the coordinating Whistlin' Dixie Chipboard Die Cuts for some extra dimension. I punched holes to lace the ribbon through and laced the buttons with floss. As always I chalked the edges generously with my favorite PowderPuff Chalking Inks. 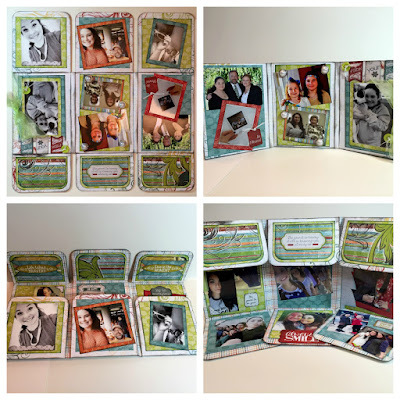 A hint about photo printing for a mini, I printed a couple of pages of "wallet" size photos using the "fit in frame" option which made the square photos even smaller. I ended getting many photos in the small album. I intend to gift to my niece who is featured on the cover.